After the major UX revamp of Envira Gallery last month, we have been working hard to add new features. Today, I’m excited to announce the launch of three new addons: Featured Content, Downloads, and Breadcrumbs. Let’s take a closer look on how each of these work. Ever wanted to create a gallery of your WordPress posts, pages, or other custom post types such as products, testimonials, books, etc? With Featured Content addon, you can! You have the option to select the post types, choose to only show from specific categories and tags, include or exclude specific posts, change the sorting order, select the number of items displayed, and more. This addon is available with a Plus, Pro or Ultimate license. Check out our live Featured Content Gallery Demo to see it in action. 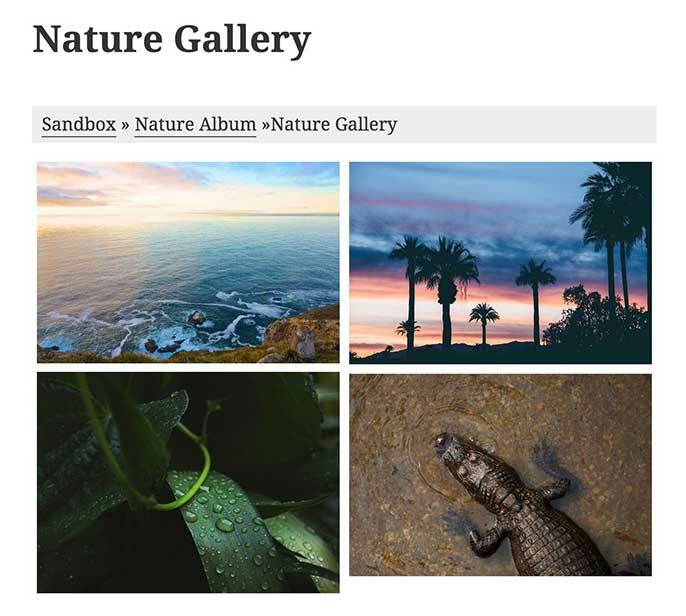 Envira Gallery Breadcrumbs Addon allows you to add breadcrumb navigation to your galleries that are accessed from an Album. This allows users to easily navigate around your galleries and albums. It also helps search engines understand the hierarchy of links on a web page. 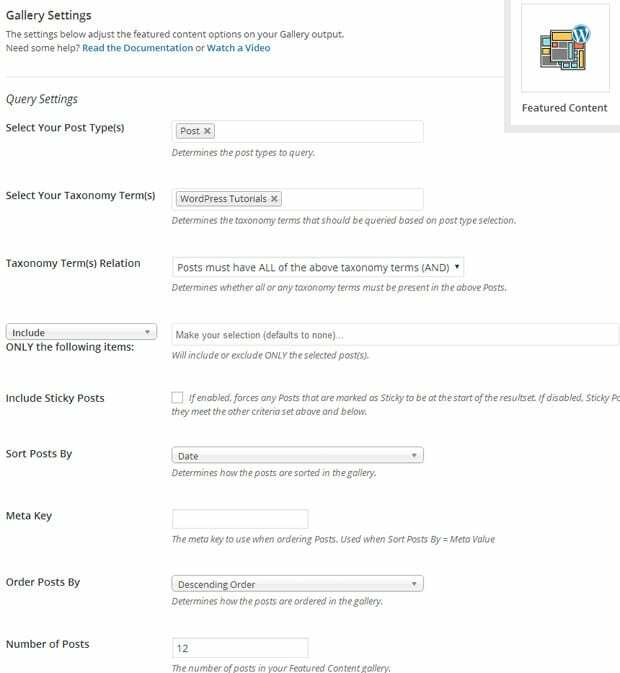 If you’re using the popular Yoast SEO plugin, then Envira Breadcrumbs also give you the option to use Yoast Breadcrumbs instead of ours. You can find the Breadcrumb tab in your Album configuration page. Breadcrumbs addon is available with a Pro or Ultimate license. Several of you asked for the ability to add a Download button to your gallery images. We made it happen. 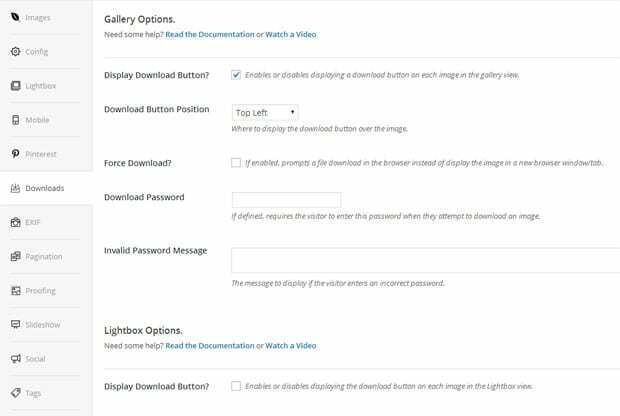 Envira’s Downloads Addon allows you to display the download button on each image. You can choose the position of the download button, force a download instead of full-size view, and even require a password. Downloads addon is available with a Pro or Ultimate license. You can download these addons from your WordPress dashboard or by logging into your Envira Gallery account. If you don’t see these addons in your account, then please consider upgrading your account to unlock these new addons. Our team has already started working on 3 new addons which several of you have requested: Image Comments, Zoom, and Printing. I’ll let you know as soon as we release those addons. To stay up to date, make sure you are subscribed to our newsletter and are following us on Twitter. 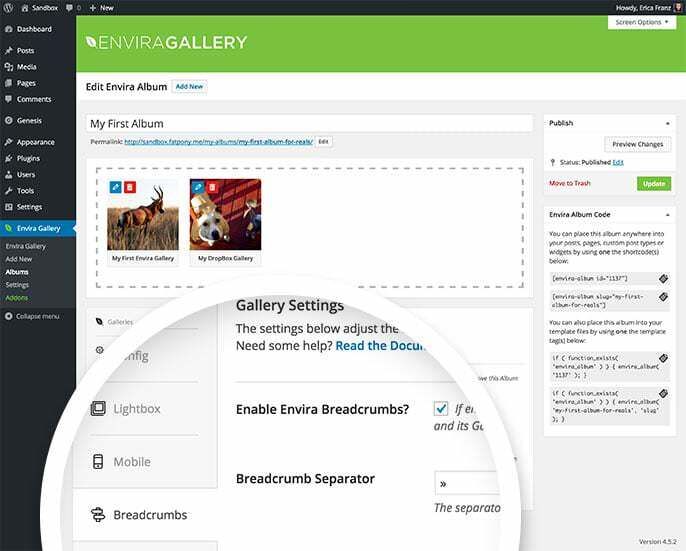 If you want to see a specific feature added in Envira Gallery, then simply send us a message using our contact form. We thank you for your support, and we look forward to helping you create beautiful photo and video galleries in WordPress. Well done on continuing to move forward. I have tried all of the options available to me in my search for the holy grail of a LR WP link. Yours is the only one that works out of the box. Keep it up! Looking forward to seeing: Comments included aswell. Currently I have somewhat of a custom hack for both Downloads and Comments, and this will shave that off my customizations to Envira. Any indication you can give in regard to Comments being incorporated? Sadly no feedback, so bumping this. Can anyone please give an update?